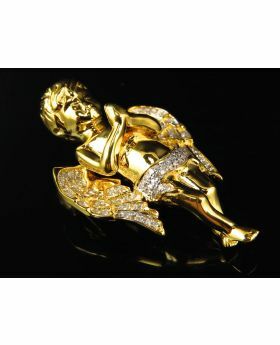 10K White Gold Crowned Angel Cherub Diamond Charm Pendant 1.25 inch 0.75ct. 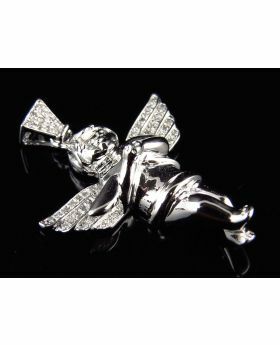 This listing is for an three dimensional angel pendant charm fashioned in cool 10k white gold. 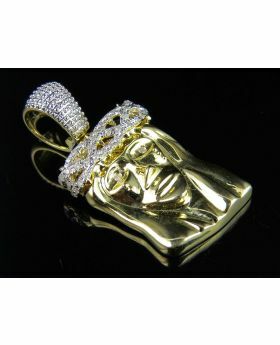 This piece is masterfully handmade with semi-solid body and weighs 6.3 grams. 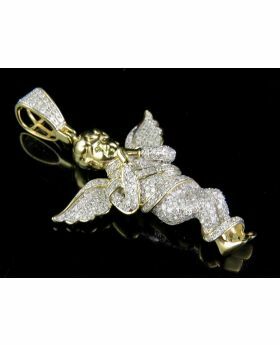 The pendant features three dimensional figure of an angel with wings spread out and a royal crown. 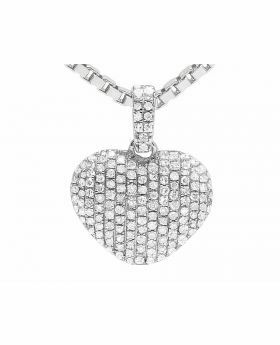 The angel's wings and loin is studded with Si2-I1 clarity, H-I color 0.75 ct of diamonds. 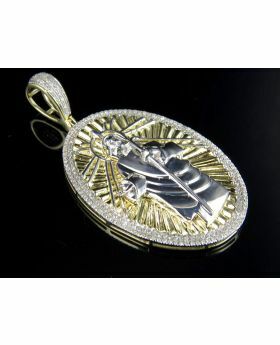 Additional diamonds flanked on the angel's bale The pendant is 1.25 Inch long. 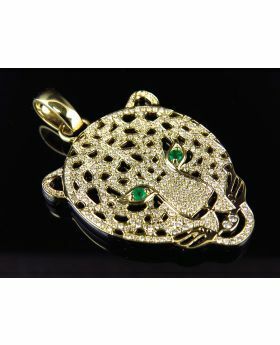 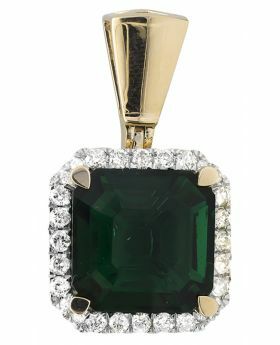 With a combination of glistening diamonds and a lustrous finish, the pendant is sure to demand much attention. 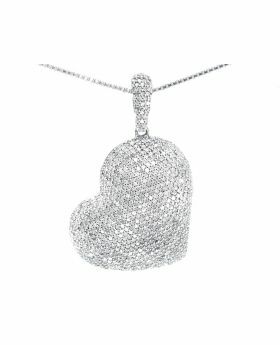 Pair it with your favorite chain. 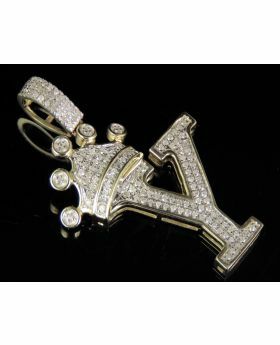 10K Yellow Gold Diamond Crown Initial Y Letter Pendant 0.30 Ct 1.5"
10K Yellow Gold Genuine Diamond Prayer Angel Pendant (0.75ct) 1.5"